Different cultures produce different parents with distinctive characteristics. Russians have their own personality traits different and varying from those of other countries. The same goes for characteristics of Russian parents. They share similar traits with other parents in general but also a special trait of their own. You might be curious as to what these characteristics are. Read more to find out! Russian parents know how to raise their children well and educating them about the necessary things in life. They make sure the tradition goes on even after years and applies these traditions to their children. Parents also teach their children literature, such as poems and old tales, arts and music, or anything that signifies the Russian culture. It is a necessity for children in Russia to learn about their cultural heritage so as to result in the culture thriving and preserved even during modern days. Russian parents makes sure their children are equipped well with not only knowledge, but physical abilities as well. Russia is a cold country and adapting to the cold is a necessity. Russian parents would dress up their babies and put them outside on winter for fresh air. That’s why resistance to the cold is like second nature for Russians. When asked why they do this though, they just answer that it’s been the tradition for years. Even though they’re discipline in studies and cultural teachings, strangely enough, Russian children do not have bedtime. They are expected to finish all of their activities and homework before going to bed, so a strict bedtime is not necessary. Russians hold education in high regard and they do not want any trouble or summoning from the school. 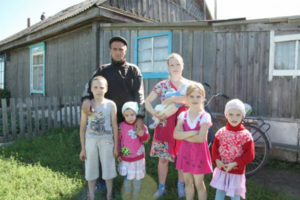 As such, Russian children undergo strict parenting. Thankfully, it is rewarding in the end as the children grow up well because of their parenting ways. Just like every other parents, Russian parents wants to be involved with their children’s life. Teenagers are expected to inform their parents of what they’re doing, or at least, keep in touch. They want their children to do what they think is best for them. Unlike parents from other countries, they take it as their responsibility to protect and raise their child well, and they take this responsibility seriously. They want their children out of harm’s way, as such, they try their best to be a part of their child’s life. On the downside, this results in less privacy for the children and the parents might seem overprotective. Superstitions in Russia are so well known that although not everyone believes it, they have become the common norm. Russian parents make sure that their kids know of this and to ensure that they do not do anything bringing misfortune. Common superstitions are: no whistling in the house unless you want bad luck. Do NOT sit on the corner of the table, don’t shake hands on the doorway, don’t step over people or on their shoes, and so on. These superstitions have been deeply ingrained in the minds of Russian children and became part of their habit and lifestyle. They then teach their children about these and the cycle continues. There’s nothing as overdressed when it comes to fighting the cold. Russian parents would bundle up their children, making sure they stay as warm as possible. They also think that constantly eating is a sign of healthiness so don’t be surprised if Russian parents stuff their children with food constantly. However, this doesn’t mean they’ll let their children be overweight. They’ll definitely let their children know if they’re getting fatter and remind them to exercise. Just like the trait of getting involved with their children’s life, Russian parents protect their children and take care of them very well. Parents believe that they know what’s best for their children, however, sometimes they can come across as overprotective instead. With recent media blaring out crime stories and kidnapping cases, parents have been more alert and alarmed than ever. Worry not however, their actions are done out of concern and love. Even when their children are adults, there are some cases where they still live near or with their families. Those are just a small percentage though.